For the past few months I've been exercising semi-regularly. Coming back to Sweden (and then travelling in Asia) I knew it would be challenging to keep it up. So I decided not to beat my self up if I relax while out travelling. But sometimes nature takes its course. 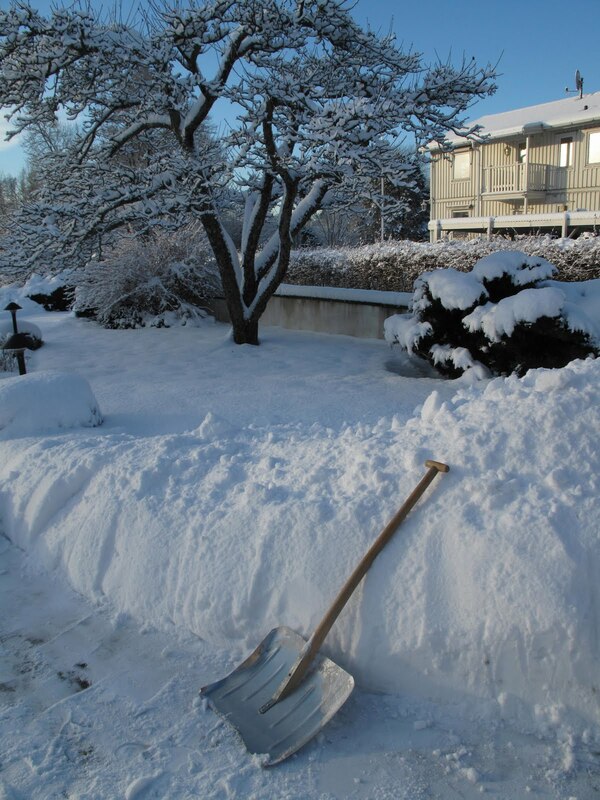 Shoveling snow: Cardio and resistance training, all in one! Try it while it lasts! It's free, available at any hour and it's just outside your door.